What was the most interesting class you took in college? 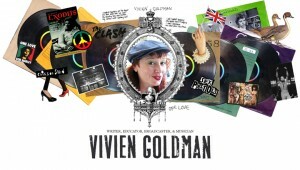 I bet it was nothing compared to Ms. Vivien Goldman’s courses at NYU. 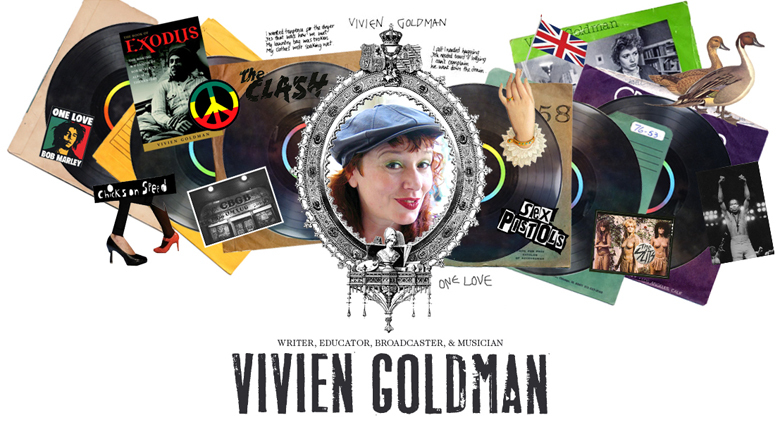 She currently offers classes in the study of The Island Records Story, Punk Rock, Jamaica, Bob Marley & Post-colonial Music and David Bowie. First things first, why did you become a David Bowie scholar? What is it about him that interests you the most? I am an Adjunct Professor at the Clive Davis Institute of Recorded Music, Tisch School of the Arts. We differ from most other music schools in studying the history of music, a vital foundation for an artist, as well as the actual making of it, production skills and so on. David Bowie is so interesting to study; the different phases of his work, always progressive; the choices he has made, always intriguing and instructive; and even looking into his passions is enlightening, from Commedia dell’Arte theater to German Expressionism to Buddhism and Tibet. And of course, the music is always gripping. Did you grow up with his music? Yes, like Bowie, I am a Londoner, and was just the right age to be completely transported by “Space Oddity”… I completely remember the moment of first hearing it on a transistor radio in my parent’s flat while I was doing my hair… then, when I was a student at Warwick University, a lot of kids in the dorms would paint flashes on their face like Ziggy Stardust, and the bolder boys would rock flamboyant clothes, and not just the gay ones! Can you give a little brief history of your career in the music world thus far? I have always done a bit of everything — all media, print, TV, radio, and now online…Straight out of university I began writing about music. Extremely briefly, I co-managed the band Generation X and Billy Idol. For a couple of years I did PR in record companies, in the areas of jazz, folk and reggae mainly. I did Marley’s PR at Island Records when we broke him internationally. After a few months of that, I became a full-time music journalist, then Features Editor, and went on to write 2 books on Marley; I also consulted on Kevin MacDonald’s recent documentary about the Jamaican shaman. Punk freed me and I became a post-punk artist/songwriter… member of the Flying Lizards and Adrian Sherwood’s New Age Steppers… did my own indie record, “Launderette,” co-produced with John Lydon… wrote songs with Massive Attack, Coldcut, and most recently, “Exclusive” with Jill Cunniff of Luscious Jackson… wrote 5 books, most recently “The Book of Exodus: the Making & Meaning of Marley’s Album of the Century”; produced/scripted/directed a lot of TV in the late 80s/90s, , my video for Eric B & Rakim’s “I Ain’t No Joke,” was recently shown at the Museum of the Movig Image. I write for The Guardian and various other publications, started teaching at NYU in 2005 and expect next year to be my most exciting yet! What are some of your all-time favorite David Bowie songs? And why those in particular? When people ask me this, I choose a different song each time! There are so many! Today I go for “Changes” (1971.) I was just leaving home when it came out, and it gave that moment a glittering, tingling sense of possibility. Even now, listening to the song helps me tap into that feeling, giddy with confidence. How did you get to be a part of the David Bowie documentary, David Bowie Is? Were you very eager to jump at the chance to work on it? I am just helping spread the idea of the film around as a Professor teaching about David Bowie.. It is a very useful, fascinating, lovingly made documentary about one of our most significant and inspiring artists, whose impact straddles 2 centuries. Important viewing for anyone interested in the arts, not only music. 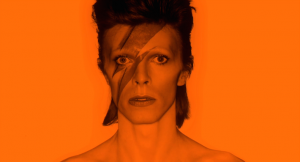 Did you happen to learn anything about Bowie after viewing this film that you didn’t already know? How incredibly efficient he has been about archiving his work through all the years! It is like the man never throws anything out! This indicates he knew the importance of his creativity right from the start. And that he is very good at filing or has a lot of backup. Plus, the breadth of his artistry. His detailed designs for e.g. the planned Diamond Dogs, Orwellian musical and his videos astonished me. The perfection and detail of the unbelievable costumes. A personal favorite is the Pierrot outfit from “Ashes to Ashes,” with its intricate beading, and of course the dashing Alexander McQueen Earthling neo-Regency coat, the deconstructed Union Jack, stupendously well cut. As a professor at NYU, teaching students about David Bowie, Bob Marley and other musical icons, would you say that students continue to be interested in these older artists? PS I would have definitely taken your class in college! Any last parting words for perhaps new David Bowie fans? Stick with your passion and keep going, no matter what, even — specially — if you have wobbly times. Be bold and open to the moment and tomorrow. That’s what David does.